Dutch-born, Singapore-based Irene Hoofs founded her Bloesem blogs in 2006, turning her globe-trotting experiences and love for all things design into Bloesem Living (which focuses on crafts and brands) and BKids (style and design tips for children). This was followed by online store Bloesem.co, which offers pretty lifestyle and design products from local and international labels. 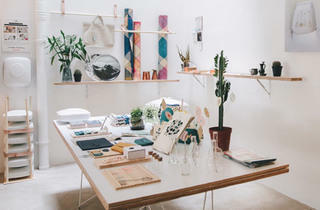 In January this year, Irene finally decided to set up a physical store – which doubles up as a studio for her Bloesem team to organise creative classes and a showroom for the online shop – at the quaint neighbourhood of Tiong Bahru. 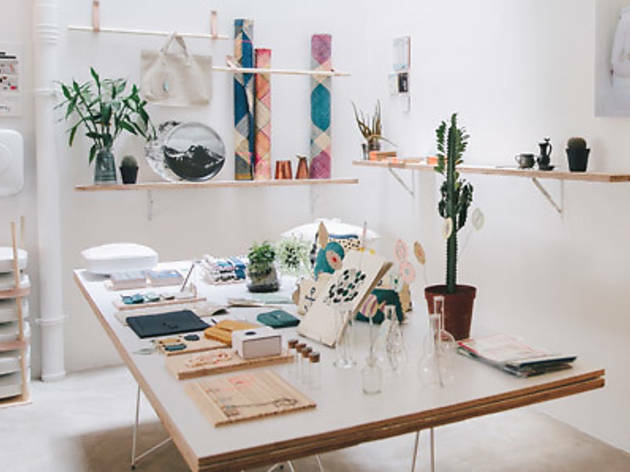 The quiet, bright and airy space is neatly filled with everything from magazines to accessories and stationery to homeware by mostly international brands like Brita Sweden, Darling Clementine, Fine Little Day and Jurianne Matter. Take your time to browse through the shop; you never know what gems you might find. We especially love the adorable Time Capsules ($69) – white containers filled with labels, stickers and more for you to craft your memories and encase them forever (or at least until you open them again). Plus, Irene has also got her own in-house label, Bloesem, which offers dainty necklaces, jewellery pieces and hand-woven pillows, among others. If you feel inspired by what you see in the store, check out their ever-changing roster of creative craft classes – past workshops include the basics of styling and the ABCs of calligraphy.